tote | Kaleido by Silkie B. 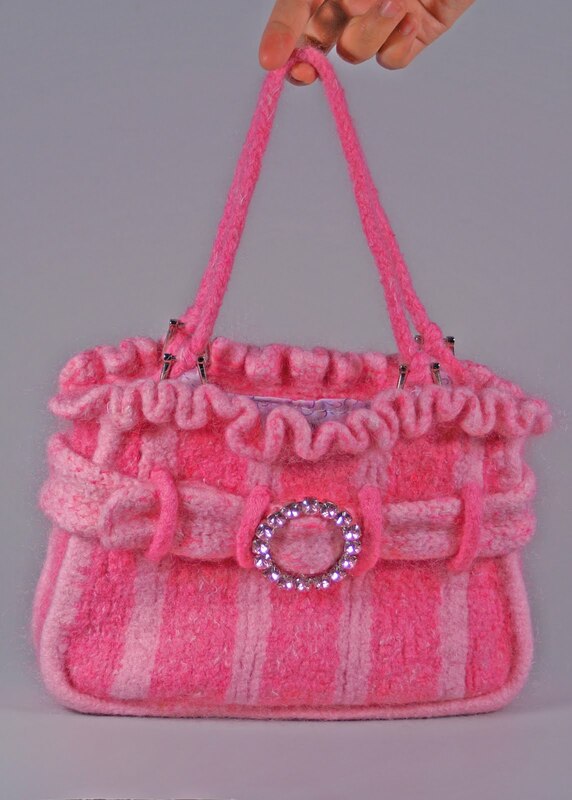 If anyone follows my blog, you will know that I am currently working on the new collection of purses. With my friend, Annette, being my sample knitter, I have a swatch for my 1st design. 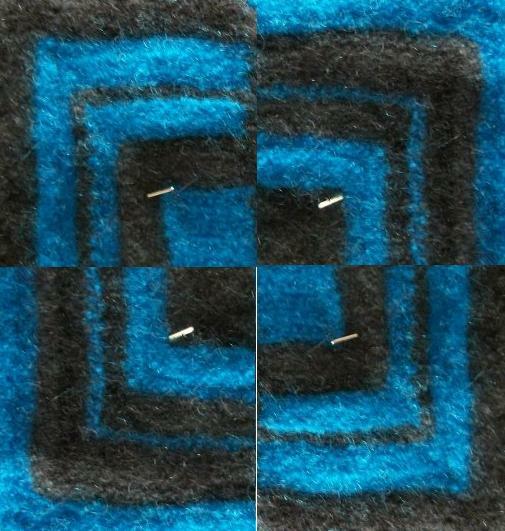 It is going to be a felted tote… yes oh yes.. I am going back to my felting root on this one. The picture to the left provides a little preview on the main center motif for the tote… It’s different tones of blue; turquoise and the deepest navy… no surprise for the color choices here… blue being one of my favourite color. I wanted to play with simple line and shape to create interesting visual effect… it’s going to be bright and busy but I hope it’s in a good way. 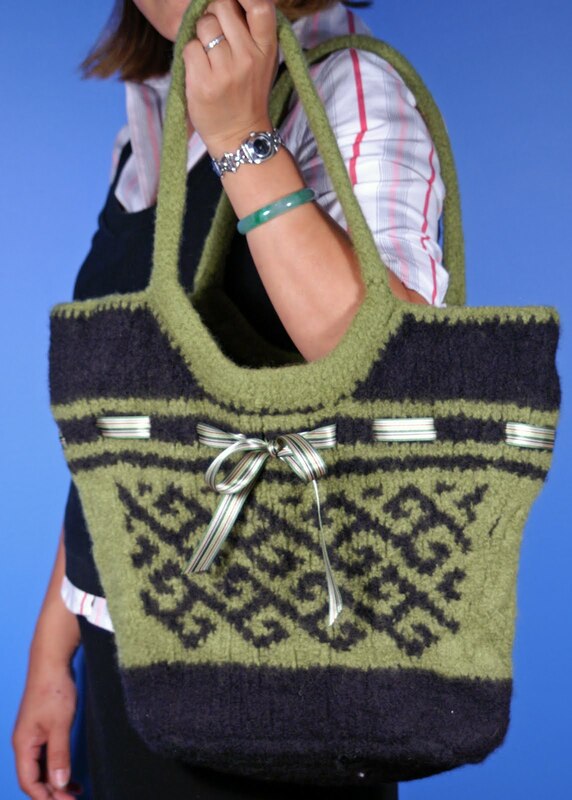 With a little bit of imagination and playing with different combination of colors, this will be one fun tote to knit. Stay tune for the actual sketch for this tote… still thinking a good name for it. 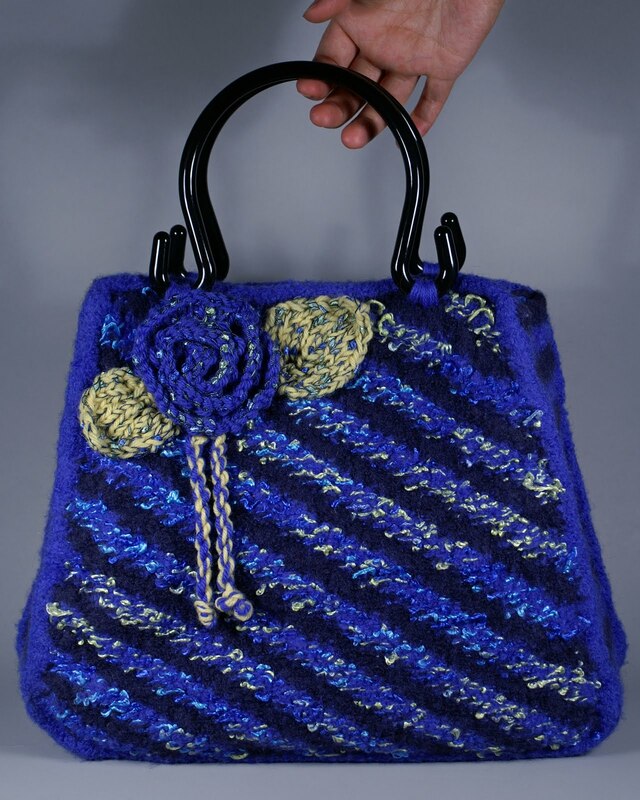 If you are already a member of Ravelry.com you can search my designs by going to the above link or search my name under designers. Once you are there, you can also see my other published designs. You can also search me under my username ‘Kaleido’. 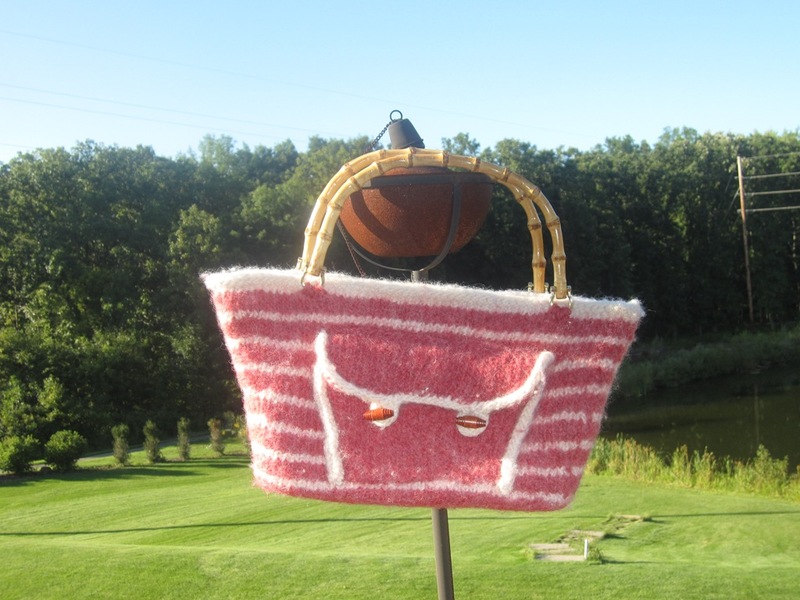 All my purse patterns are $4.00 each. If you are interested in all 4 of my patterns currently available (I am on the process of adding more), I will bundle them and sell it for $12.00 or 3 patterns for $10.00. All you would need to do is to email me at silkiebee@gmail.com to acquire more information and I will send you payment information. I am constantly trying to improve my design so any comments, good or bad, are welcome.